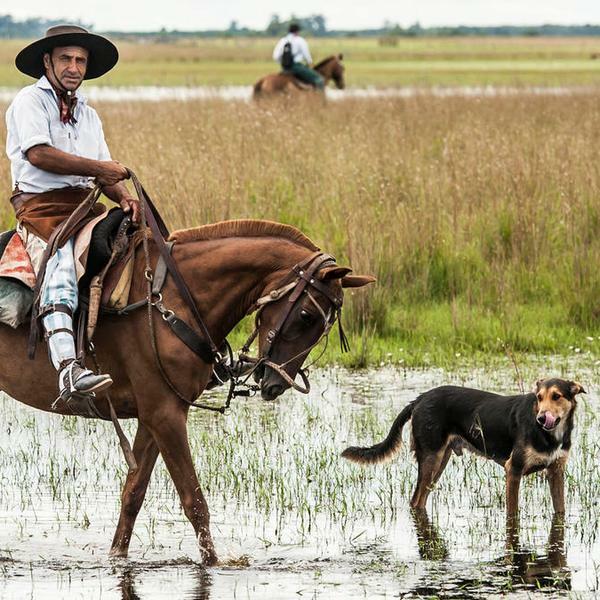 After exploring the magical city of Buenos Aires, you will transfer to La Rosita, an estancia that offers a gaucho experience that is hard to beat. 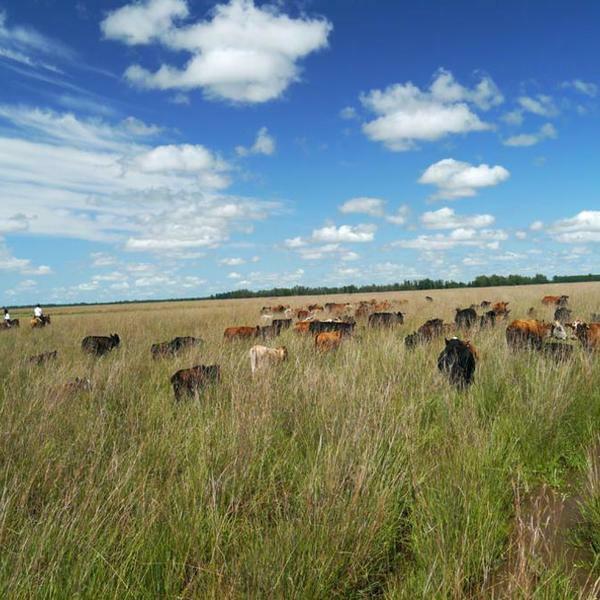 Whether rounding up steers, injecting calves, moving bulls, your hosts, the Landgraf brothers - whose family have farmed here for five generations - will help you to get involved in all aspects of this 10,000 acre estancia that is home to thirteen hundred cattle, one hundred and forty horses and a few hundred sheep. 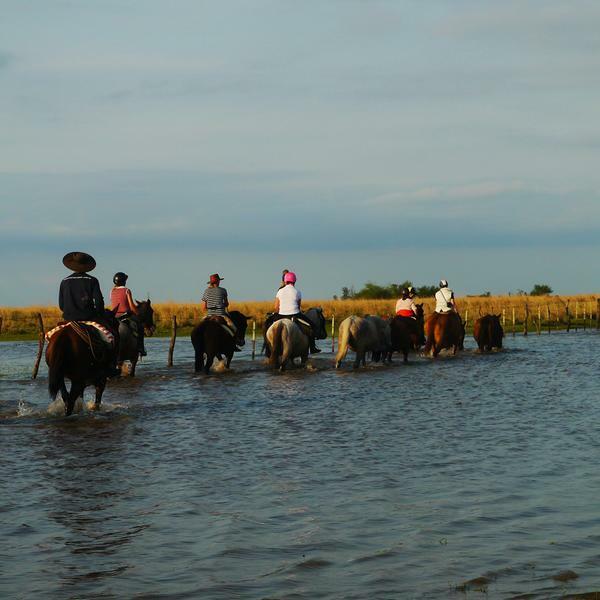 As well as spending time at La Rosita, you will be accompanied by former three-time champion jockey Richard Dunwoody as you embark on a journey through the wetlands to go and stay at a few neighbouring estancias, giving you the true feeling of gaucho life. 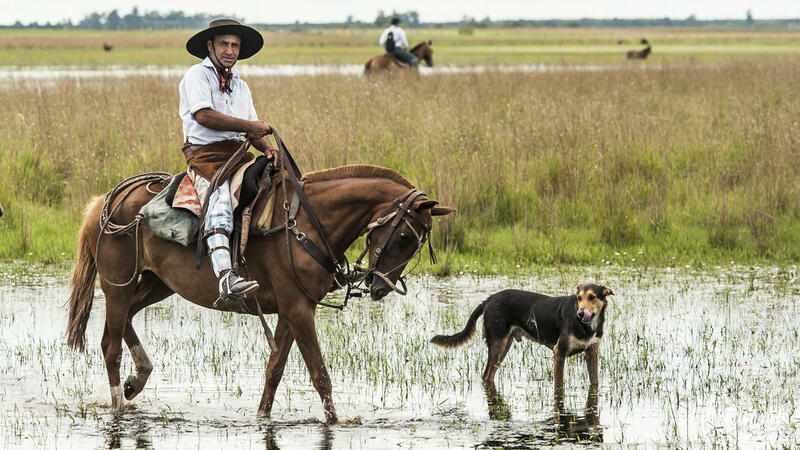 For the outdoor enthusiast this undiscovered corner of the country, and our unique gaucho holiday, offers the perfect getaway. 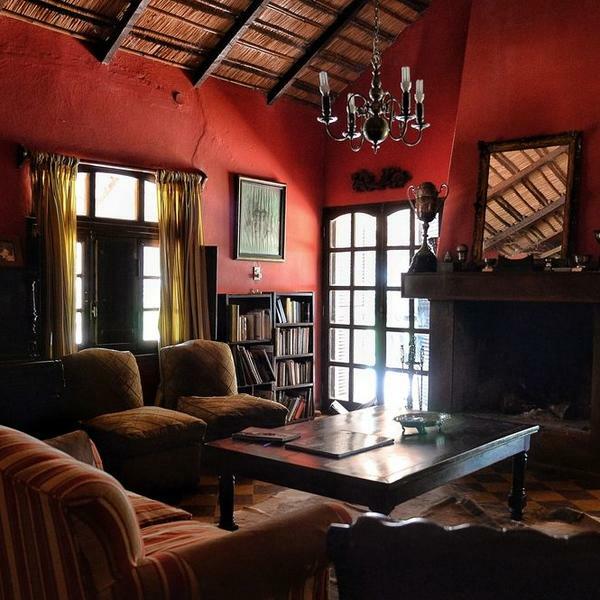 If you have more time available, why not arrive early to adjust to a new time zone, spend more time in Buenos Aires or just to get a feel for the country before your tour starts? 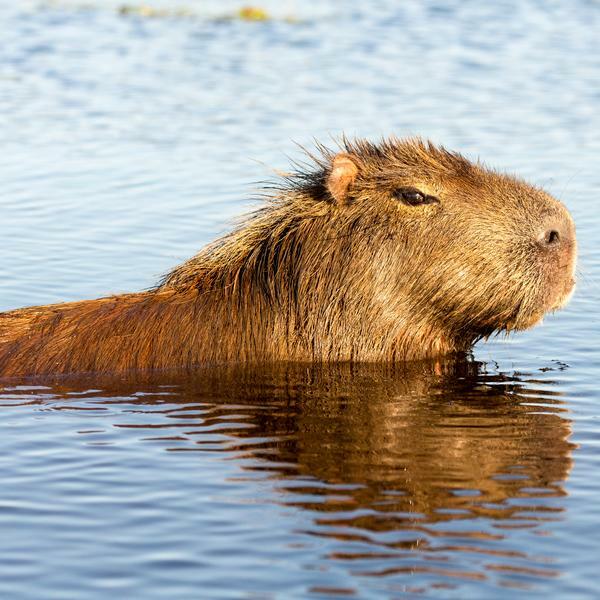 Or alternatively you might choose to allow a few extra days after the tour to relax or to undertake some further exploration (see final day of itinerary for the great options that our chosen operator, Wild Frontiers, can arrange. 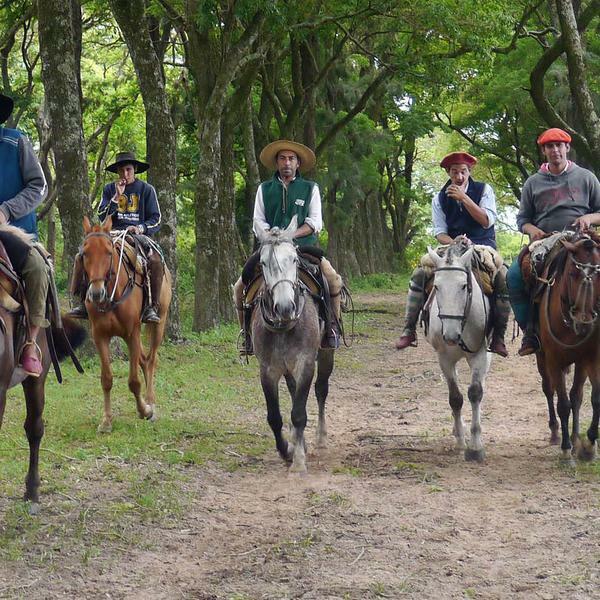 Riding Ability: In terms of riding ability, this trip again can cater for anyone from beginner to advanced, that said, if you can ride to an intermediate standard (happy on a sensible horse at all paces) you will enjoy the trip so much more as you can really get involved in estancia life. Given the ranch style nature of this trip, if needs be we can split the group so that more advanced riders can do more than the novices. If you have any doubts about your riding ability, please contact the office before booking. Types of Horses: The horses are mainly a mixture between Criollo, Thoroughbreds, Argentine Polo ponies and Quarter Mile Horses. 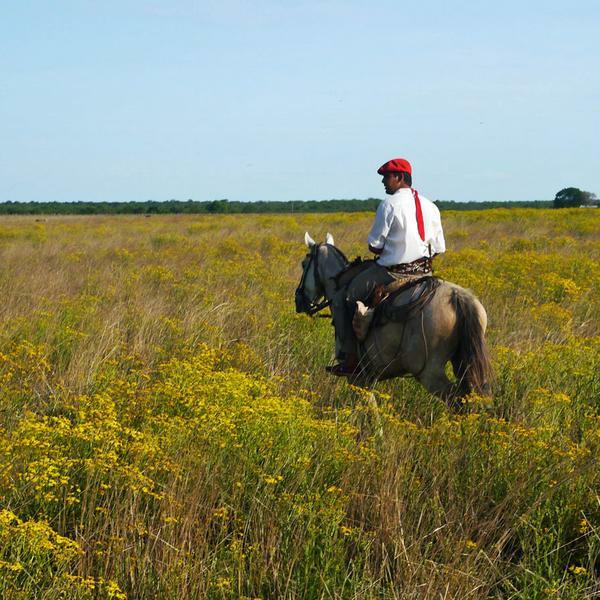 They have been crossbreed with a view to achieving the right type of horse to adapt to the terrain and the requirements of the estancia; there are more than 100 horses at Estancia La Rosita, so plenty to choose from! 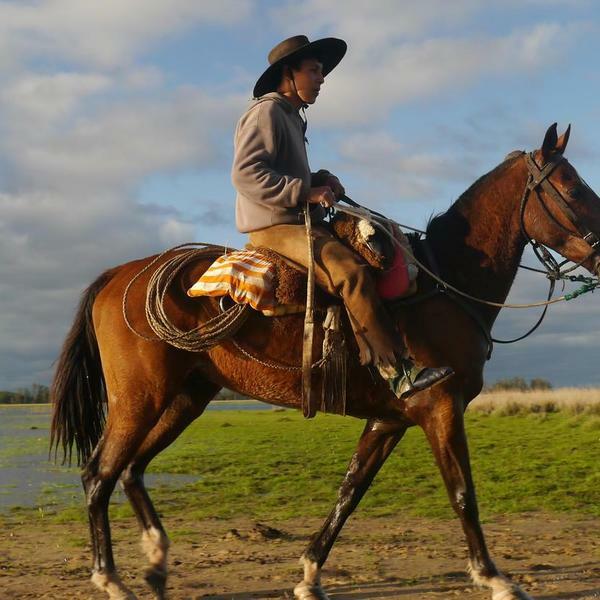 Tack: The tack is typically Argentinian, a local variation of the traditional Argentine gaucho 'recardo' saddle topped with a thick sheepskin, designed for comfort for both horse and rider over long distance. 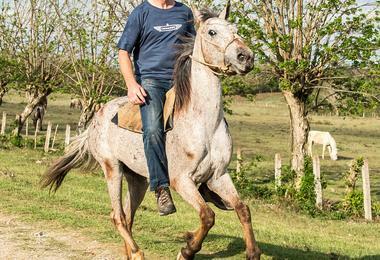 English saddles are available, though the traditional Correntino saddles are recommended. 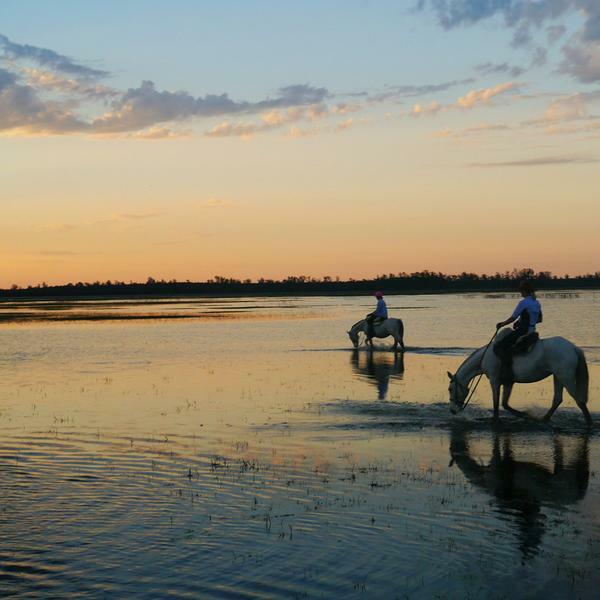 Weight Limit for Riding: Maximum weight limit is 95kg, although heavier riders will be considered subject to their riding ability and there may be a surcharge to have two horses available. Please do not hesitate to contact the office to discuss this further. One of the great jockeys of his generation, Richard Dunwoody MBE was three times champion jockey, twice a Grand National winner and partnered the great Desert Orchid to seven victories. 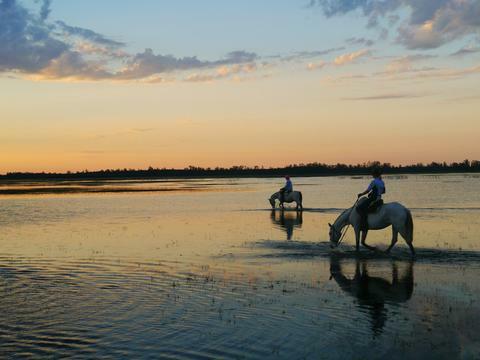 Since retiring as a jockey he has travelled extensively and has undertaken expeditions to both the Arctic and Antarctic. 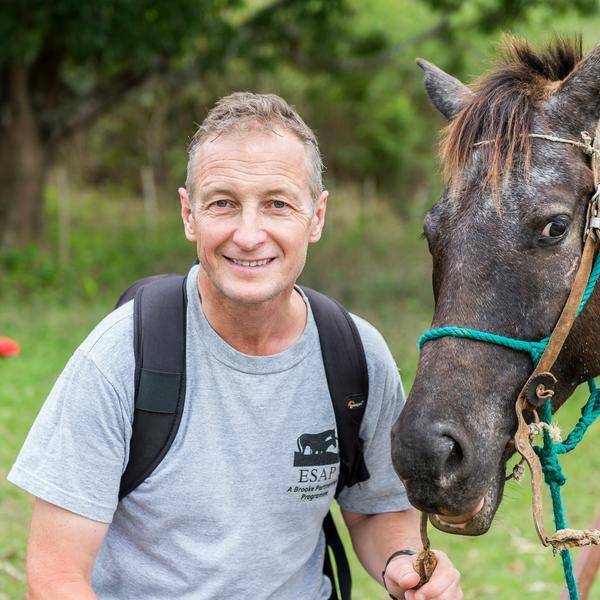 , He has led a large number of trips for Wild Frontiers, including riding holidays to Argentina, Kyrgyzstan, Mongolia, Albania and Cuba, to name just a few. After checking into our hotel - where we will have 'wash & change' rooms - there will be time to relax and enjoy this vibrant city. Close to the hotel in the heart of Buenos Aires we'll find the Pilar Church, the Recoleta Cemetery - resting place of Eva Peron among others - art galleries and hundreds of lovely restaurants and bars. 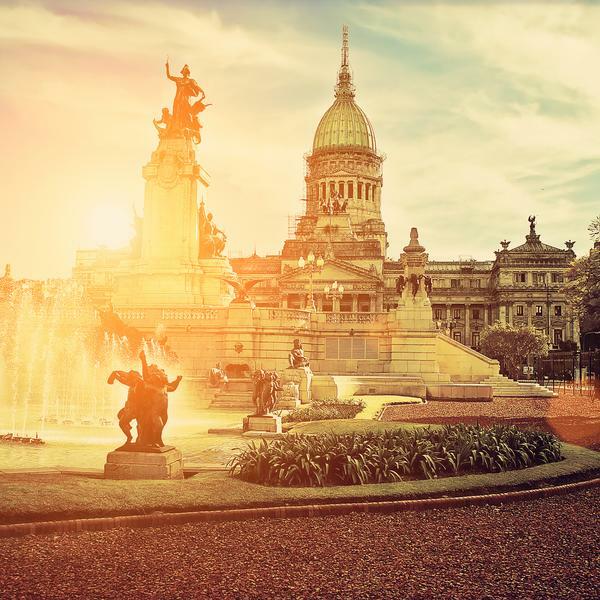 This afternoon we will have a private tour of Buenos Aires, undoubtedly the Latin American city that best resembles the cosmopolitan and aristocratic atmosphere of the big European capitals. But beyond this Buenos Aires there is another one, holding the small coloured houses of La Boca and the popular tango streets nearby. We then will transfer to our luxury night bus - very comfy, we assure you - up to Esquina in the province of Corrientes, enjoying dinner on board. 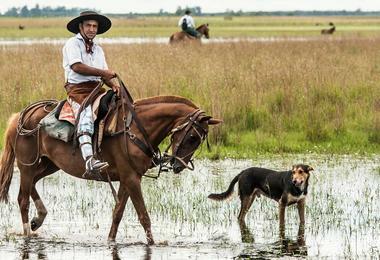 Arriving into the regional city of Esquina early, we'll be met by Fernando and driven the short distance to the estancia. 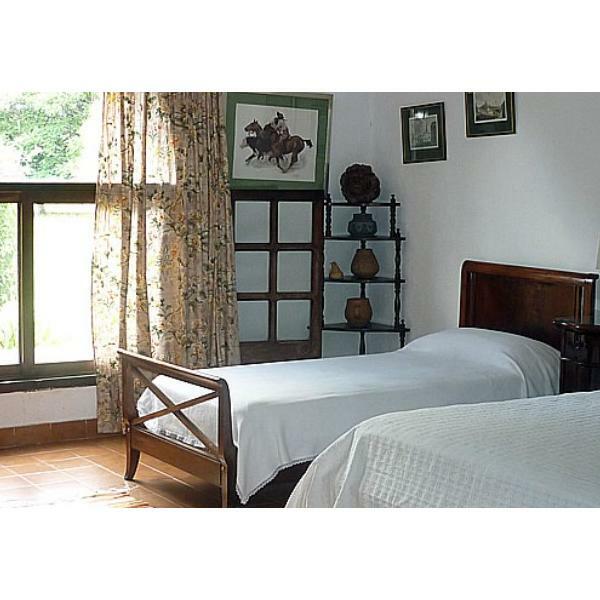 Once here we will allocate the rooms and have a look around the estancia and find out what's on offer. 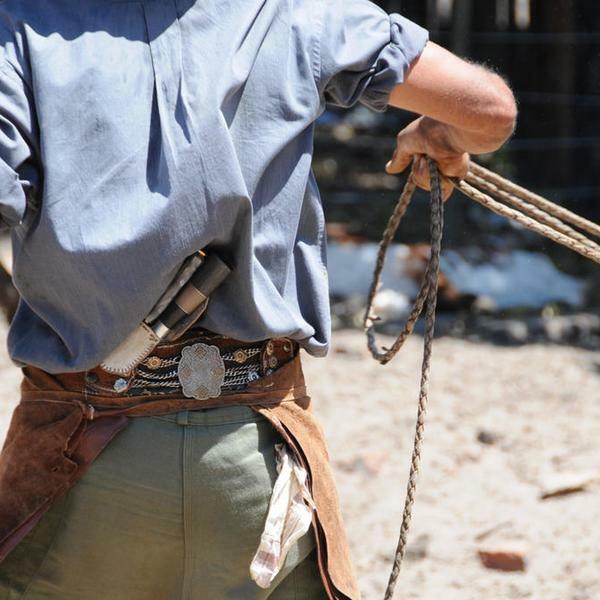 After lunch, those that wish can saddle up and take a ride across the ranch, helping out with any gaucho-style work that might need to be done. 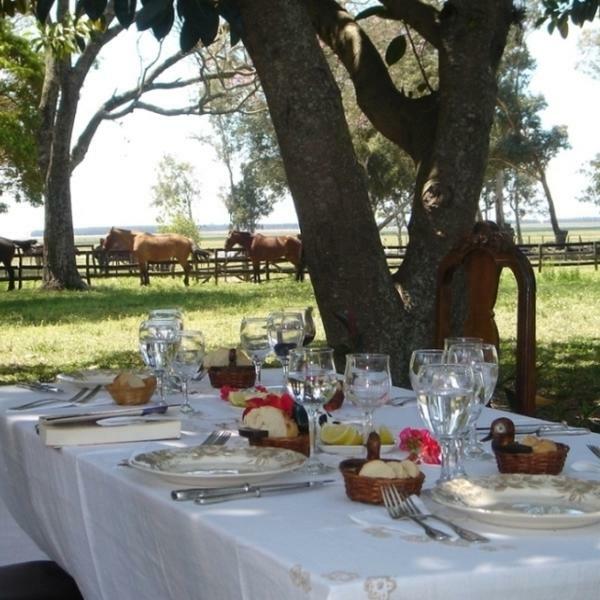 This evening we will have dinner al fresco on the terrace outside the estancia's main house. 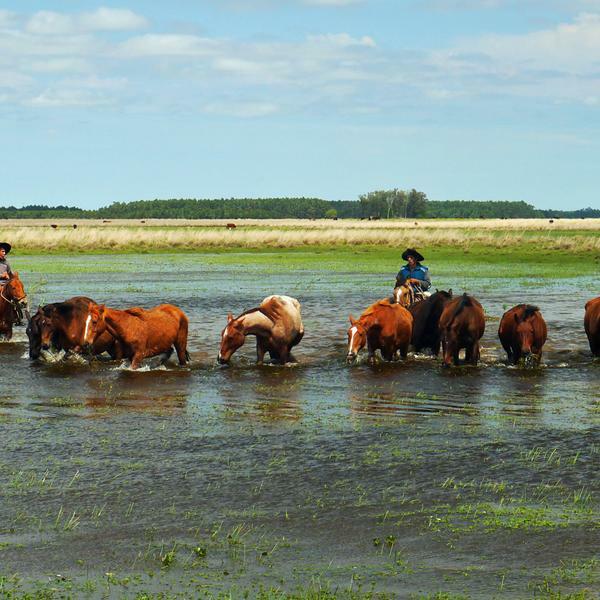 After a hearty breakfast, it'll be back out onto the range to ride across the beautiful Corrientes Wetlands and help out with what work needs to be done. For those that would like to try something different, there will be chance to try your hand at fishing after lunch; others can ride some more. 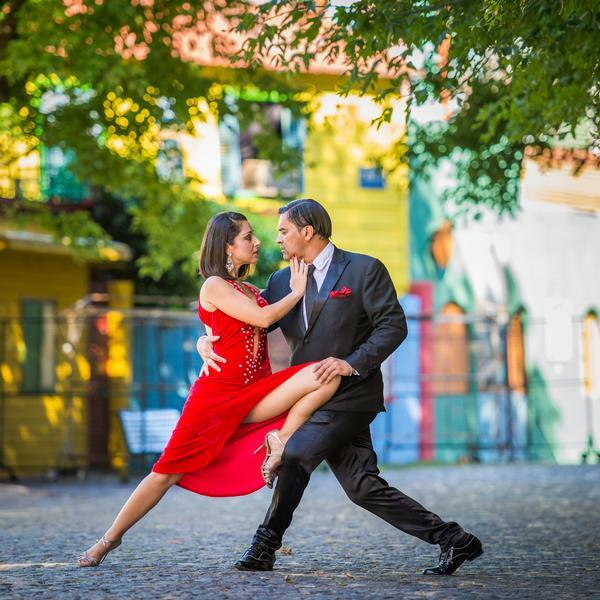 This evening we will have a tango teacher come in to show us a few of the famous Latino steps. 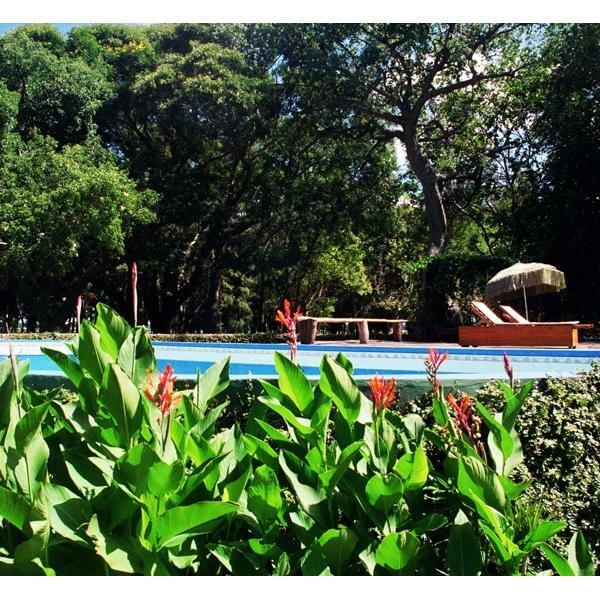 Today we leave La Rosita behind us and head to the neighbouring estancia, La Amistad. We'll have a relatively long day in the saddle today but there will be an opportunity for a massage on arrival, to work away any aches and pains before dinner. 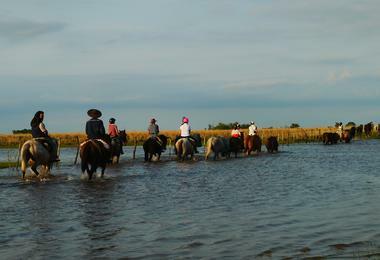 Moving on again today to the next estancia, we'll get there in plenty of time to have a wonder around, watch, and maybe even help the gauchos as they go about their daily chores, but for those that prefer to unwind can relax by the pool. 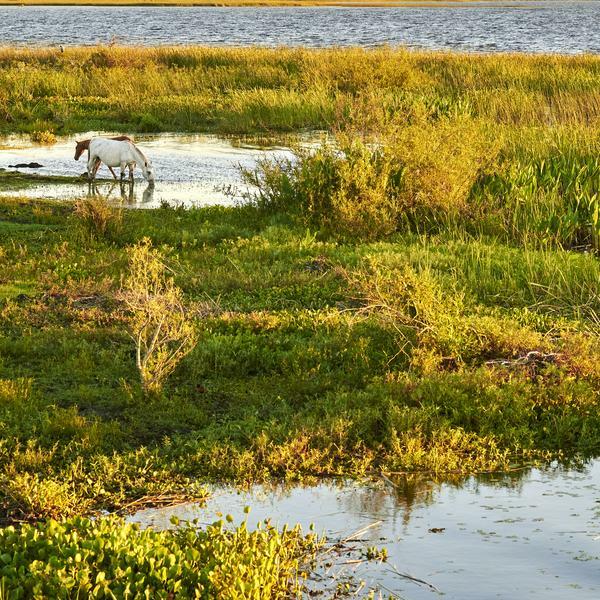 Although today's ride might be slightly shorter, we'll take our time as the birdlife as we cross the wetland will be remarkable, and there may even be a chance to see an alligator or two. Today, we'll have a full day helping out at La Rosita. 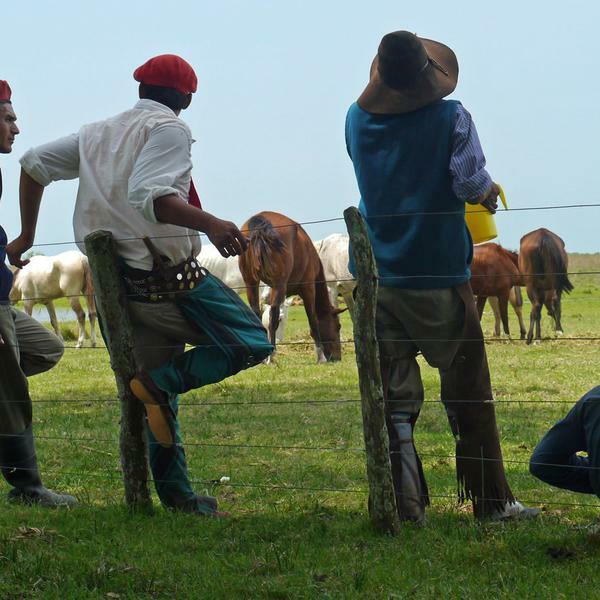 As well as the gaucho work we'll also organise polo lessons on the farm's own polo field culminating in a small tournament of teams made up of us, the family and gauchos. 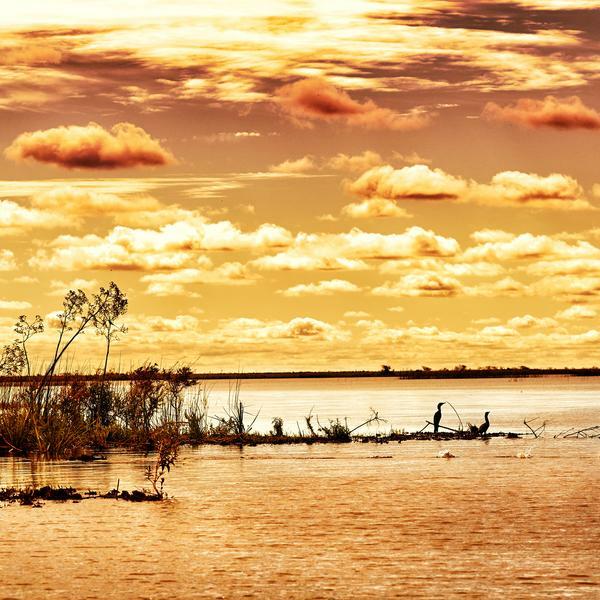 You will be able to do as much or as little as you want, with fishing, walking, birding, cooking lessons, painting and of course photography also there to be enjoyed. After breakfast we'll have a free morning before taking the transfer, laid on from the hotel to the airport for our suggested flight. 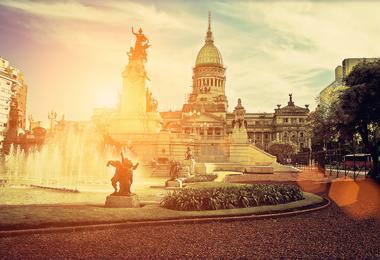 If you have more time available, why not arrive early to adjust to a new time zone, spend more time in Buenos Aires or just to get a feel for the country before your tour starts? Or alternatively you might choose to allow a few extra days after the tour to relax or to undertake some further exploration. 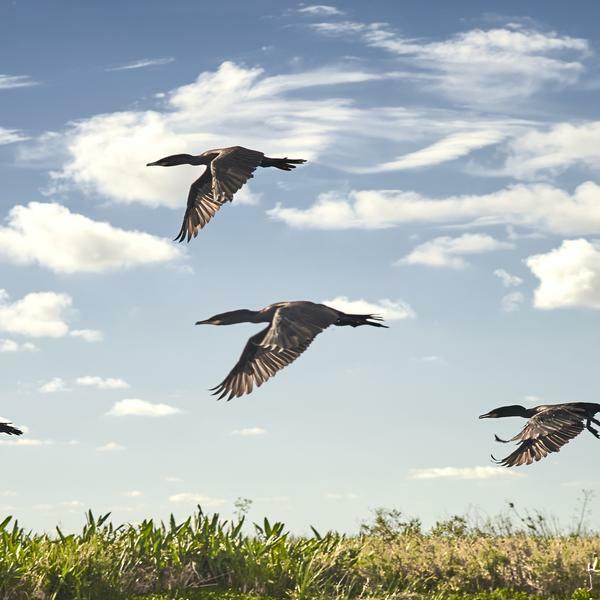 Patagonia - Fly down to El Calafate to enjoy the wonders of Patagonia, with special trips to visit the Puerto Morina Glaciar and FitzRoy National Park. Glimpse another side to Patagonia by venturing into the Torres del Paine Park in Chile. Jagged rock spires and breathtaking scenery. 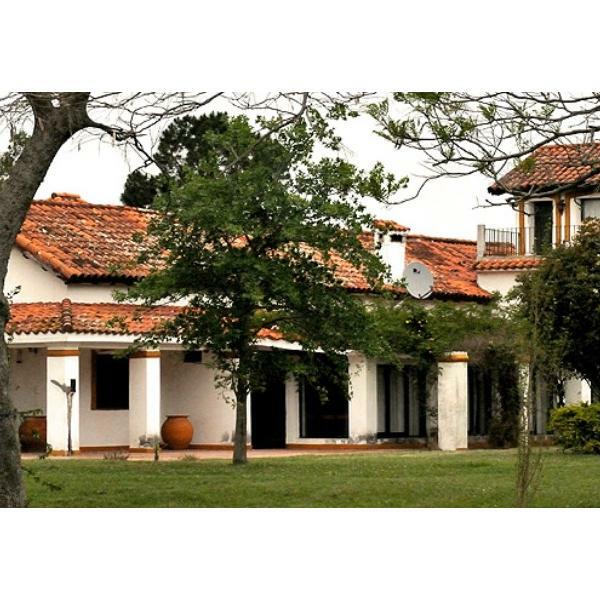 Shorter trips available include the Iguaçu Falls, the wine region of Mendoza (for the perfect time of year when the grapes are being harvested), the ancient Andean culture in Salta, the pampas of Cordoba or for a prolonged stay in Buenos Aires where a week would fly by in no time. Or why not go all out and do a 10-Day Antarctica Cruise and visit the southern continent, experiencing the serene beauty and amazing wildlife. 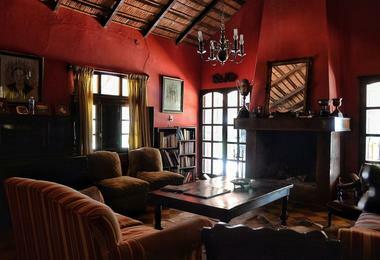 Our chosen operator, Wild Frontiers, can arrange all this and more.